A postdoc can be done in one of the 12 official universities. Large companies and research centres offer some postdoctoral positions as well, especially in biotechnology and pharmacology. 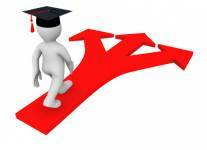 To start as a postdoc scientist, you usually need to have a PhD from a recognized university. Doctoral titles from industrialized nations are usually recognized. The university and/or the professor who will employ you can tell you if you satisfy the conditions for a postdoc and if you match the profile wanted. Postdoctoral researchers are normally hired by a university or sometimes by a company. The salary varies greatly from place to place: from CHF 3,000 to more than CHF 8,000 per month (see salary section). The salary must be indicated in the contract of employment. Funding can come from the university, from the Swiss National Science Foundation (SNSF) or from third-party funds and is often a mix of these sources. > Use our job hotline if you have urgent questions! > Learn more about coaching for academics and researchers.